Hello everyone, in this SAPUI5 tutorial, we will see how to apply Grouping,Filtering and Sorting in sap.m.Table. To achieve this we need to use sap.m.ViewSettingsDialog control in table. Lets get started. You should have basic understanding of SAPUI5 applications. 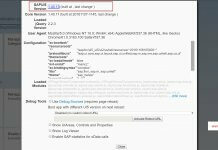 You should be aware of how to use sap.m.Table to display Table in SAPUI5 applications. 3. Next you need to design the view to display Table data.Below is the code for view and controller. 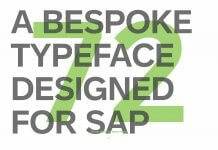 <core:View xmlns:core="sap.ui.core" xmlns:mvc="sap.ui.core.mvc" xmlns="sap.m" controllerName="tablesettings.Table"
4. Now run the application, you should be able to see the table and the data inside the table like below. 5. If you look at the output, you should be able to see a toolbar button above the table with an icon to the top right corner. On click of this button we will implement a Table View Settings popup window and inside this window we will add grouping, sorting and filtering capabilities to the Table in SAPUI5. 6. Next we need to design the Table View Settings by using the standard view settings library sap.m.ViewSettingsDialog. To do that we need a fragment in which we design this dialog. If you are not familiar with fragments, please go through it here before continuing this tutorial. 7. Below is the code for fragment file which contains the code for Table Settings Dialog. 8. Now we need to call this fragment when the button is pressed. To do that we need to create event handler method for the event “onPress” of the button. Before that, provide the event handler method name in the view Table.view.xml we did that in Step-3 Line-10. Below is the code in the Table.controller.js to call the table view settings dialog. 9. After adding the above code, run the application to test whether we were able to call the dialog. You should the output like below. 10. Now that we have seen the table view settings dialog our next step would be applying the grouping,sorting and filter to the table data. To do that we will need to create a event handler method for the event “confirm” and provide the same the table view settings fragment definition like in step-7 line-2. In the above code Line 8 to 21 is for grouping, Line 23 to 27 for sorting and Line 29 to 41 for filtering. 11. You final SAPUI5 application structure look like below. You have successfully created an SAPUI5 application to apply Grouping,Filtering and Sorting in sap.m.Table. Please stay tuned to us for more SAPUI5 Tutorials.Please feel free to comment and let us know your feedback.